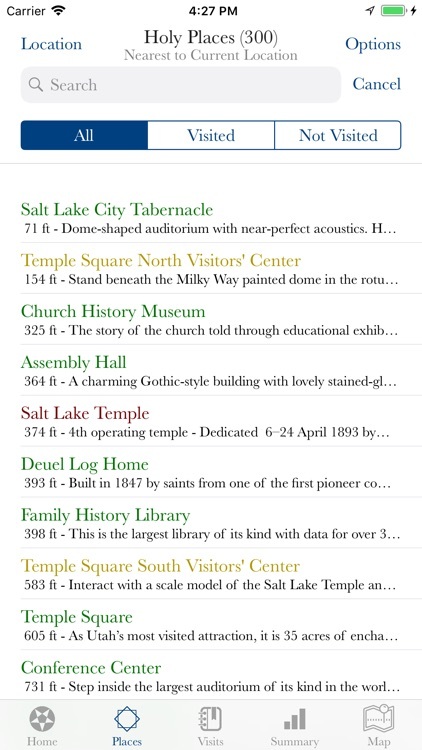 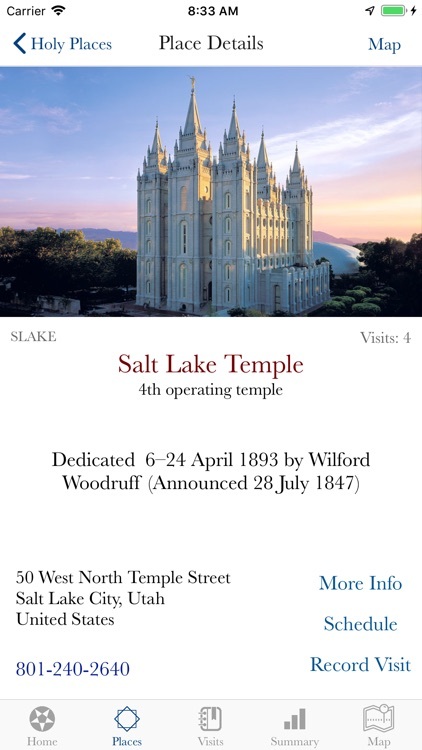 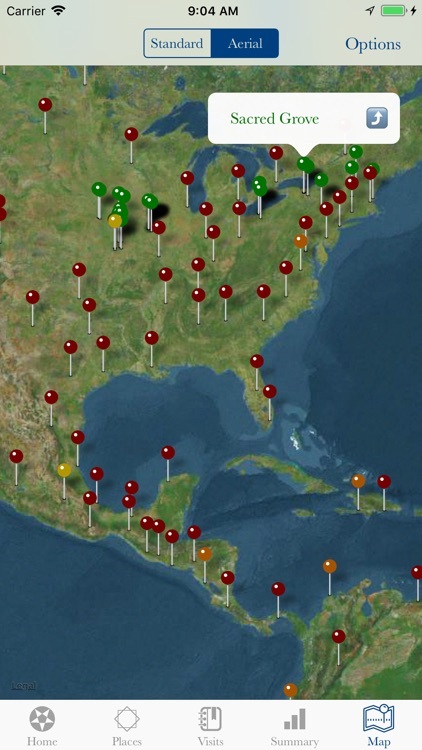 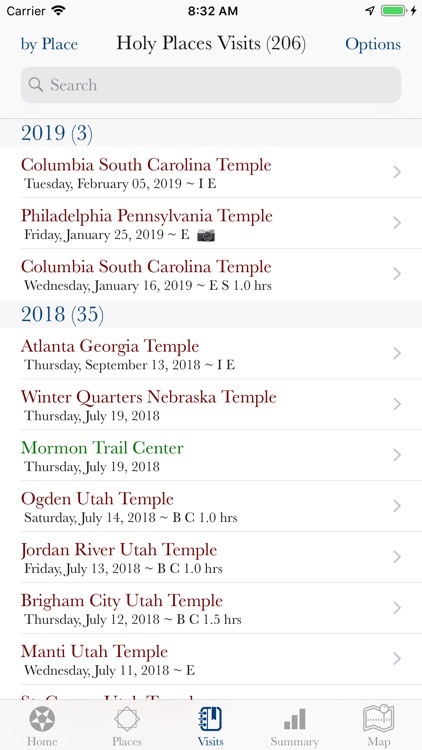 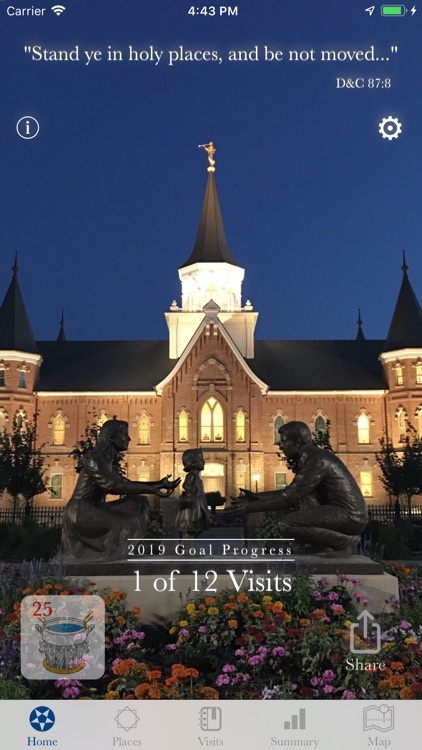 An engaging reference and visit tracking tool with pictures, info, maps and links to information on Holy Places of The Church of Jesus Christ of Latter-day Saints. 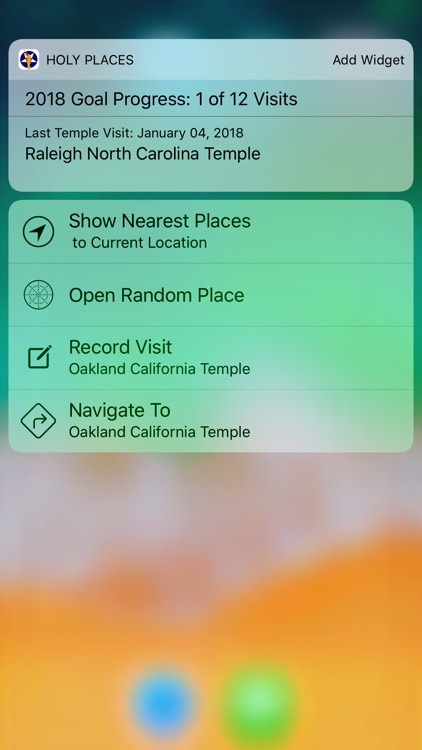 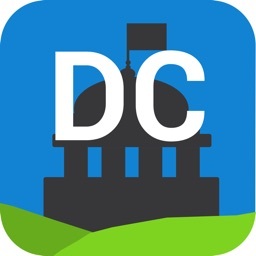 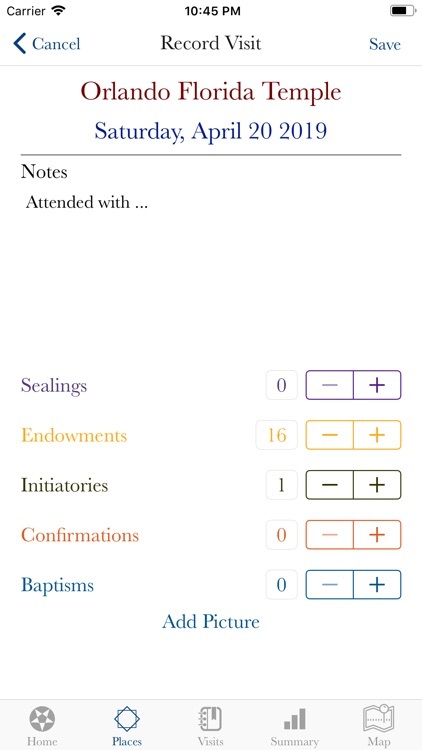 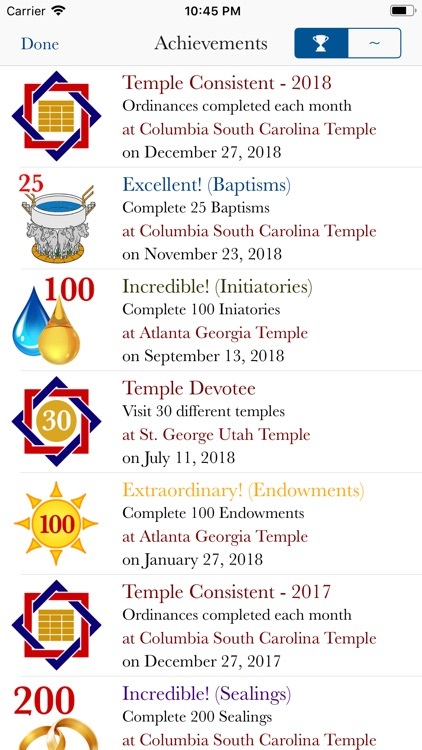 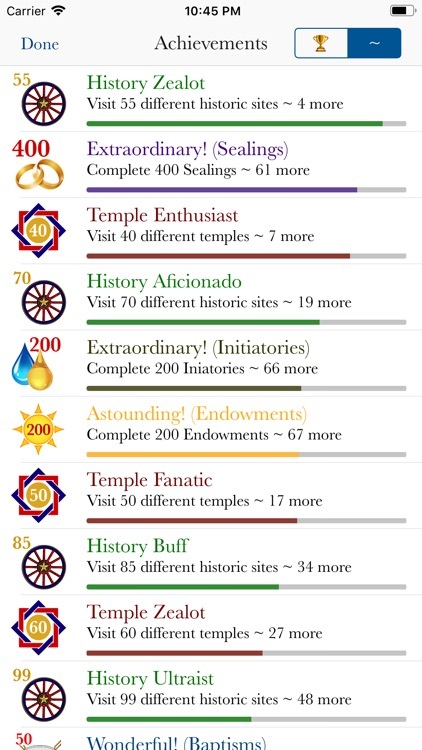 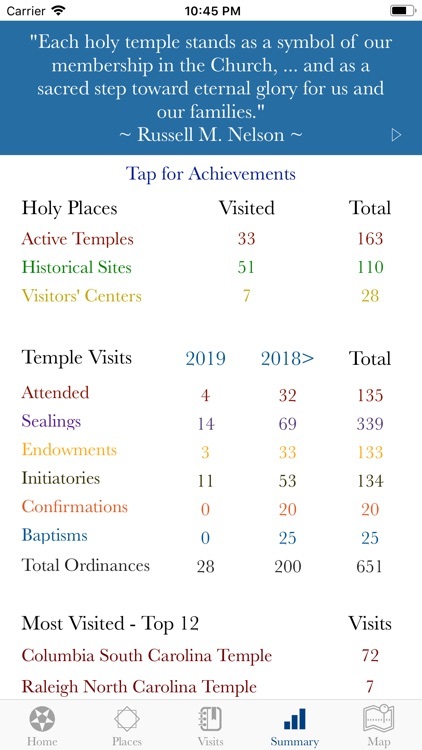 Create your personal history of our sacred Temples, Historical Sites and Visitors' Centers by tracking visits with notes, picture and the ordinances performed. The Holy Places logo, created by my fifteen-year-old daughter, contains The Morning Star* from the stained glass windows of the Nauvoo Temple. 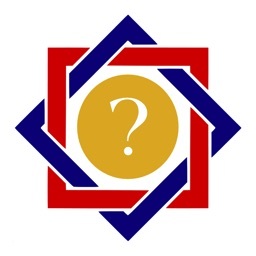 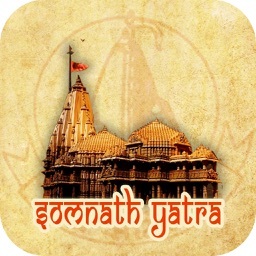 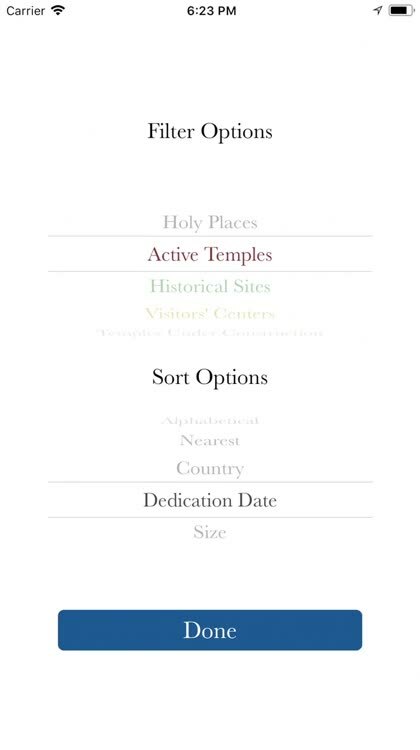 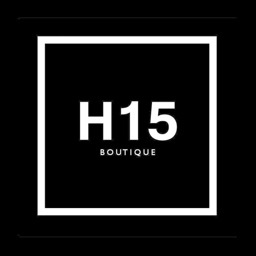 The logo represents both the Historical and Temple aspects of the Holy Places app. 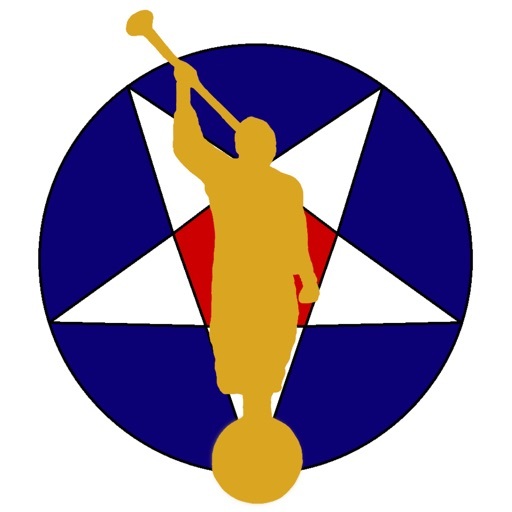 *The FairMormon website has a good article regarding the inverted five-pointed star and its use on temples.